This Oct. 11, 2018, file photo shows White House chief of staff John Kelly in the Eisenhower Executive Office Building in Washington, D.C.
White House chief of staff John Kelly's long-expected departure will occur in the days ahead, four sources tell NBC News. 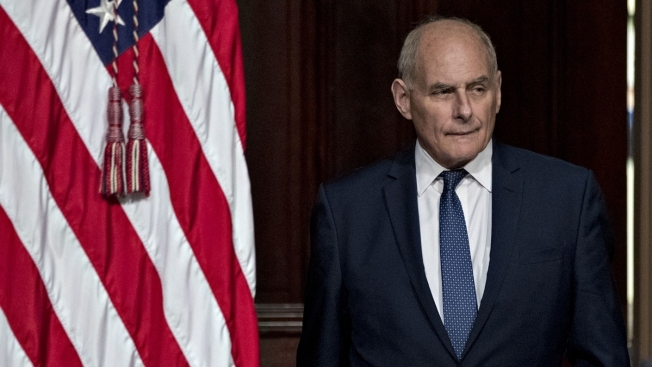 His tenure has been marred by controversy since he became chief of staff in the summer of last year, amid reports of tension with the president and West Wing staff. Reports of recent clashes with first lady Melania Trump made his already tenuous position only more so.